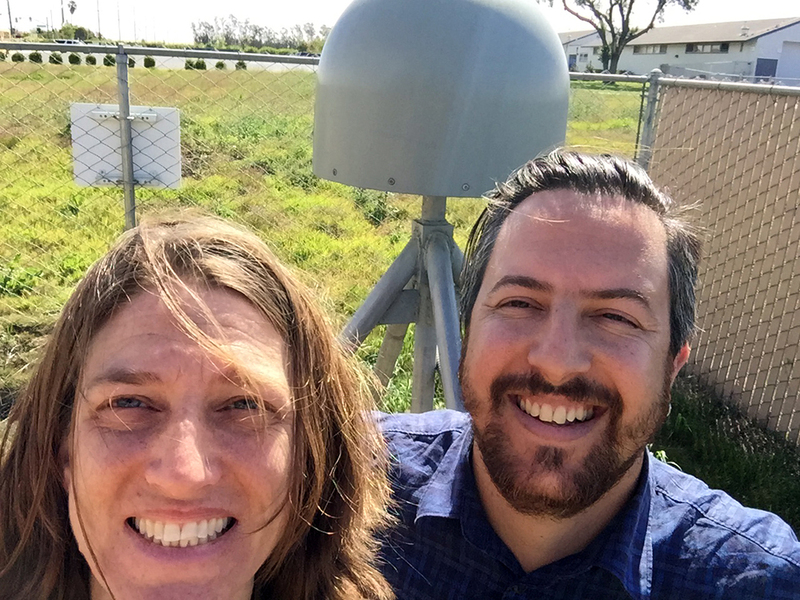 Every GPS station needs a host, and many stations within the EarthScope Plate Boundary Observatory are hosted by schools. 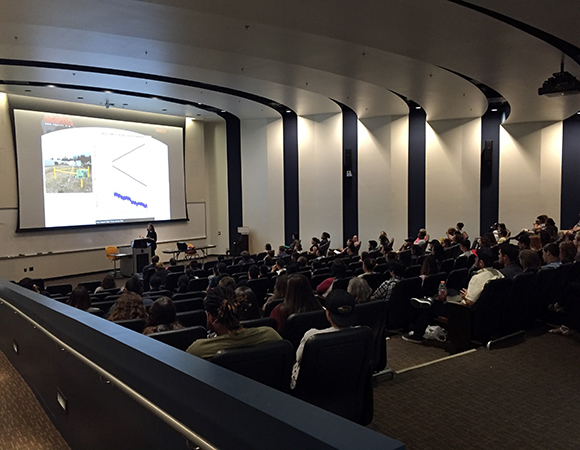 In the first week of April 2016, UNAVCO staff visited four of these host schools near Ventura, California to meet with students ranging from fourth graders to community college students. 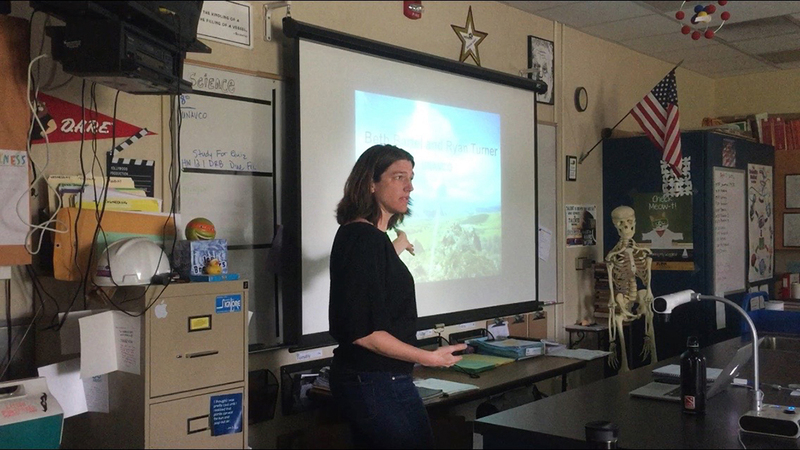 Field engineer Ryan Turner and outreach specialist Beth Bartel presented on the use of GPS to measure tectonics and more, and shared their career paths as well as encouraging questions from the students. 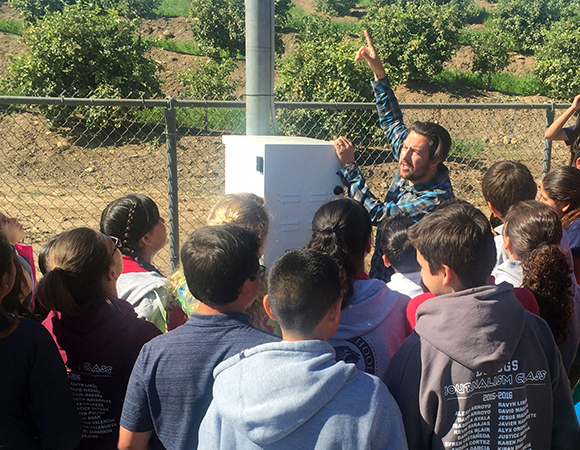 The purpose of these visits was to bring Earth scientists and active Earth science into the classroom and, in most cases, out into the schoolyard, where students got a look into the hitherto mysterious locked enclosure on their campus that contains the power system and GNSS receiver, and discussed the challenges of keeping the stations running. These visits serve both to expose the next generations to science and to maintain important relationships within the PBO network. More than 75 PBO stations are hosted by schools. Many of these stations were established as part of pre-PBO networks including SCIGN and PANGA, some with a history of more than 15 years—before many of these students were born. 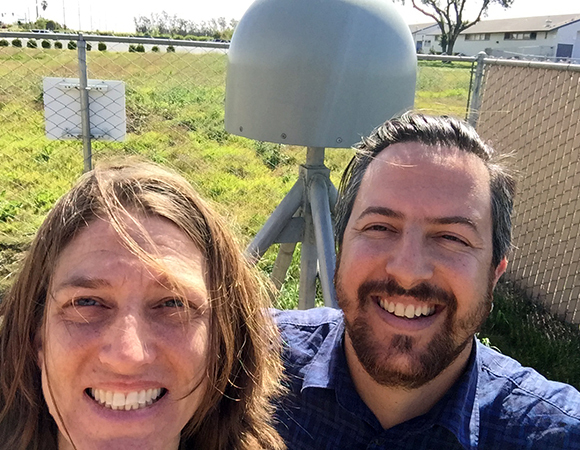 School visits not only strengthen partner relationships, but also leverage a local connection to teach geodesy and engage the local community in earthquake awareness. 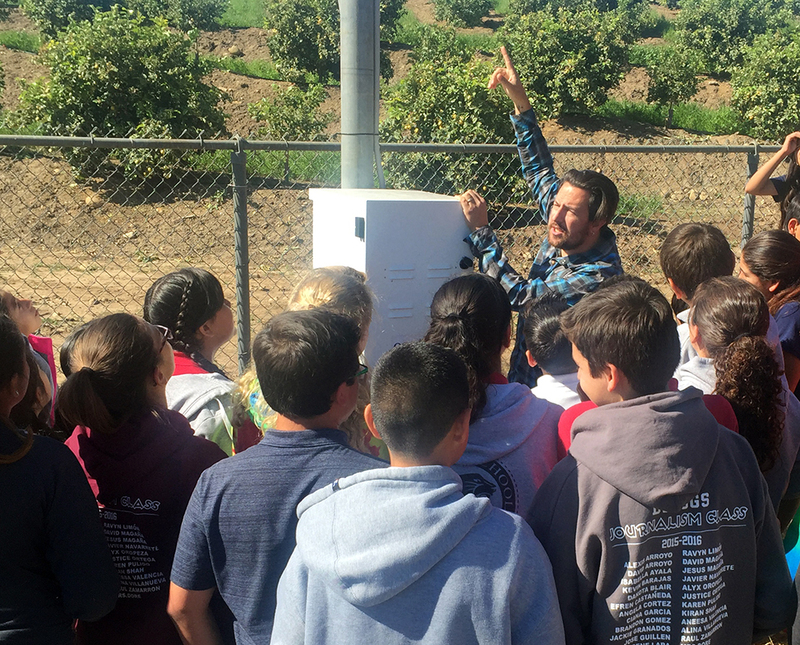 Students learn about an instrument they've likely seen for years, and about how that instrument helps scientists understand earthquake hazards in this dynamic region. 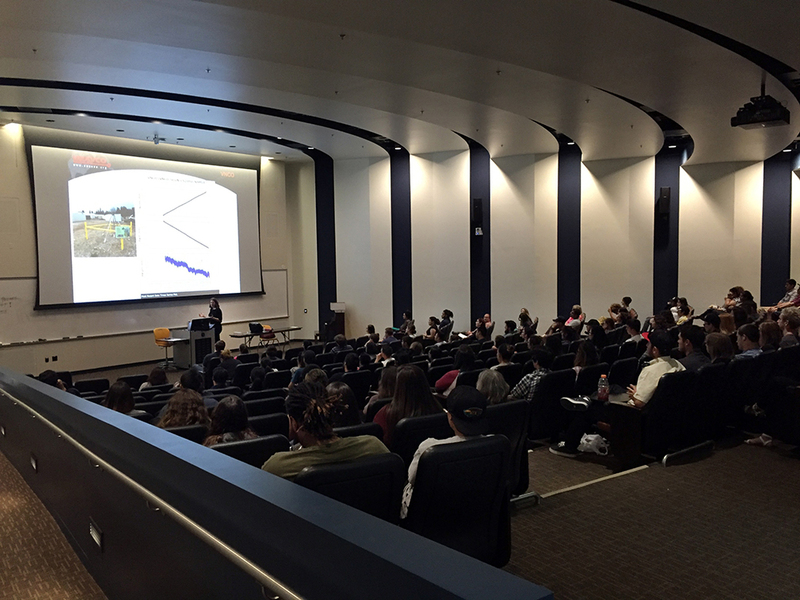 Through experience, UNAVCO has refined a customizable presentation specific to the station hosted by the school. 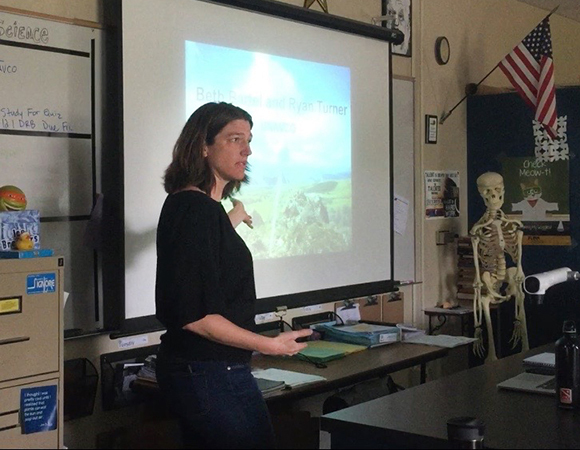 Based on teacher feedback, staff include a hearty dose of slides about our professional paths, followed by slides about regional tectonics before we bring the presentation to the school's hosted station and how it has moved since installation. We finish by zooming out to see the station in the context of the network, and look at an example of the exciting events like earthquakes the network can capture. Time at the end for Q & A is key! Students had no trouble filling this time with excellent questions, which is one of the most rewarding parts of this type of outreach.